The project features ten songs that Steve and his collaborators have been working on for the past few years between Maiden tours and releases. 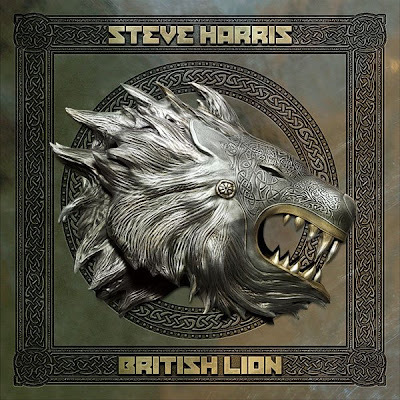 With Maiden, Harris has become one of the most recognized and successful ambassadors for British music on the world stage. The group have released 15 studio albums, sold over 85 million records worldwide and played more than two thousand gigs in 58 countries in the band’s thirty-five year career. With his solo debut, Steve steps out from Maiden’s illustrious shadow to present a different side of his musical visions. Steve will guest on the nationally syndicated radio show "Rockline" with host Bob Coburn on Wednesday, October 3 at 8:30 p.m. PT / 11:30 p.m. ET. Fans are encouraged to speak with Harris by calling 1-800-344-ROCK (7625). The show will be streamed on the "Rockline" web site for two weeks beginning the afternoon after the live broadcast.